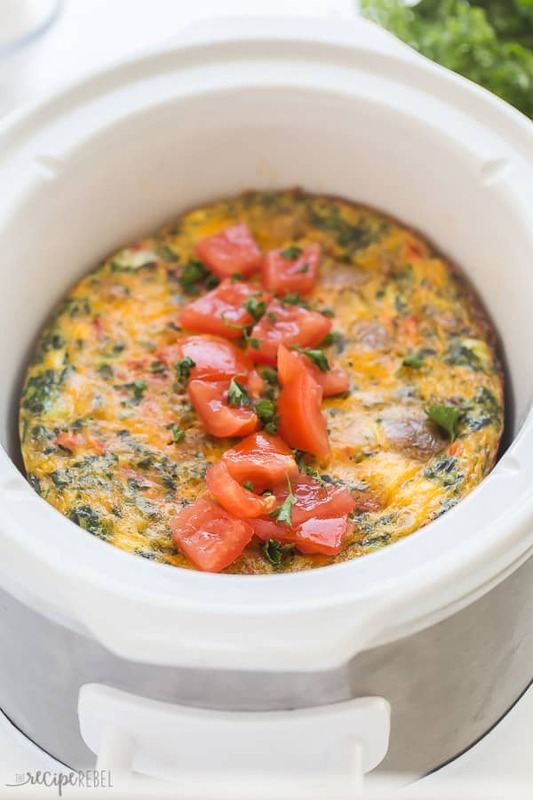 This easy Crockpot Breakfast Casserole is loaded with healthy ingredients and full of flavour! It’s an easy way to pack protein into your morning, it’s perfect for making ahead and is freezer friendly. Mix and match the meat and veggies to suit your tastes! 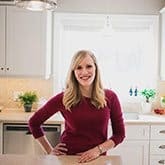 Eggs have always been one of my favorite ways to fuel my body for the day ahead — they’re loaded with protein to keep us going and easy to prepare. This Crockpot Breakfast Casserole makes mornings even easier (although I wouldn’t leave it cooking overnight — it might not be that appetizing by morning!). It cooks in just a few hours and leftovers make fantastic breakfasts throughout the week! You can mix things up and add in different meats (or skip the meat completely, as there’s already a ton of protein in the eggs! ), veggies and cheeses to suit your family’s tastes. 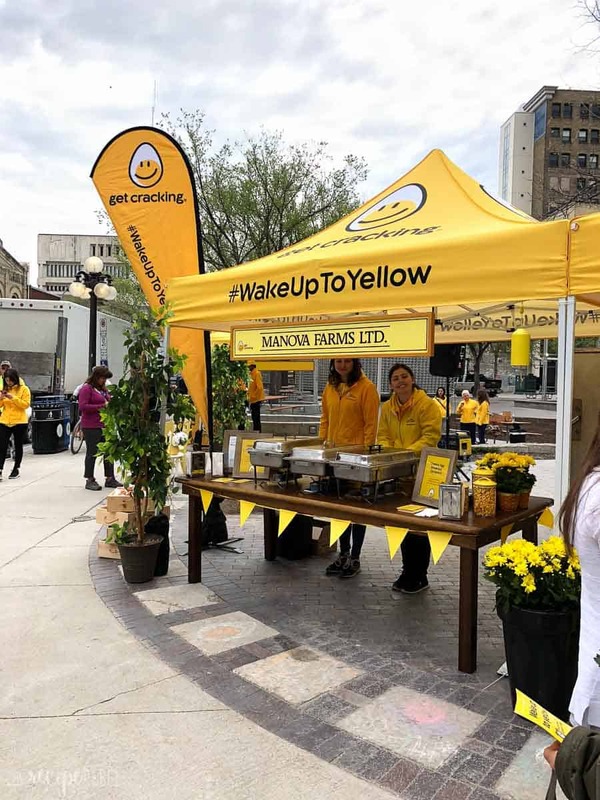 Last week we had the opportunity to join the Egg Farmers of Canada and some of our local egg farmers at the Wake Up To Yellow event in downtown Winnipeg, where passers-by enjoyed a free breakfast sandwich and took home some sunny kitchen utensils or a beautiful potted plant. 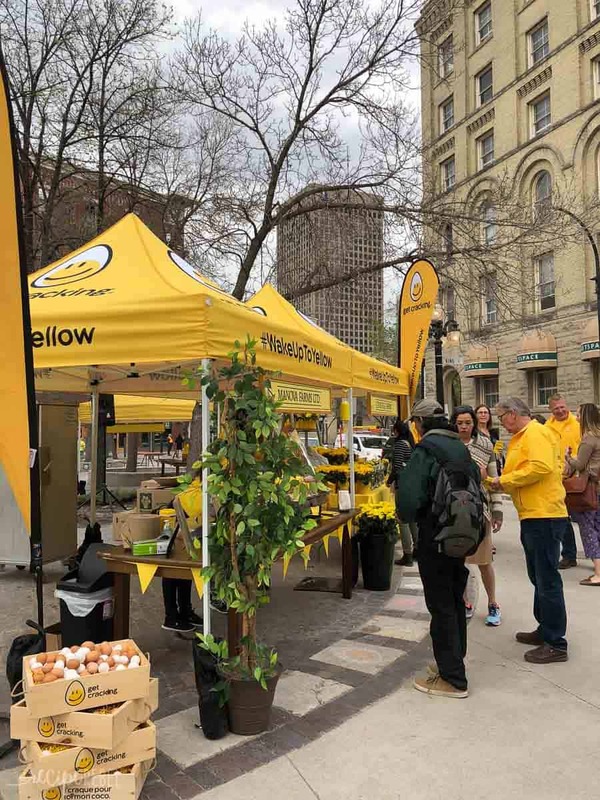 Even though I live in a rural, agricultural area (a little ways outside of Winnipeg), it’s not that often that I get to talk with our egg farmers. It was interesting to learn that all of the eggs consumed in Manitoba are produced in Manitoba! I also learned that you can tell the colour of egg the hen will lay by the colour of the hen! (And p.s., there is no difference between white or brown eggs provided they’ve been fed the same diet). 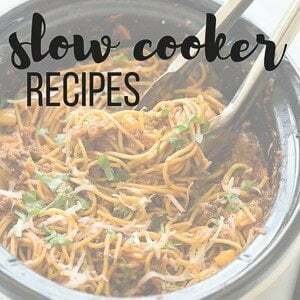 Know your slow cooker: some cook hotter and some are colder. 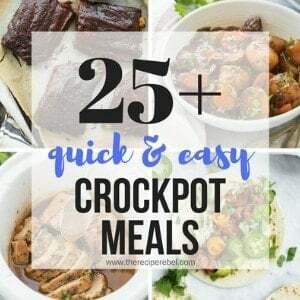 The smaller the crockpot, the more efficiently it will heat. Since I use a 2.5 quart mostly, this recipe cooks fairly quickly. It will vary somewhat depending on your make and model. Make it your own: Instead of breakfast sausage, you can add in ham, cooked bacon, or extra veggies for a vegetarian option. Leftovers? Leftovers keep extremely well in the fridge or in the freezer. You can wrap and freeze individual portions for an easy breakfast option during the week! 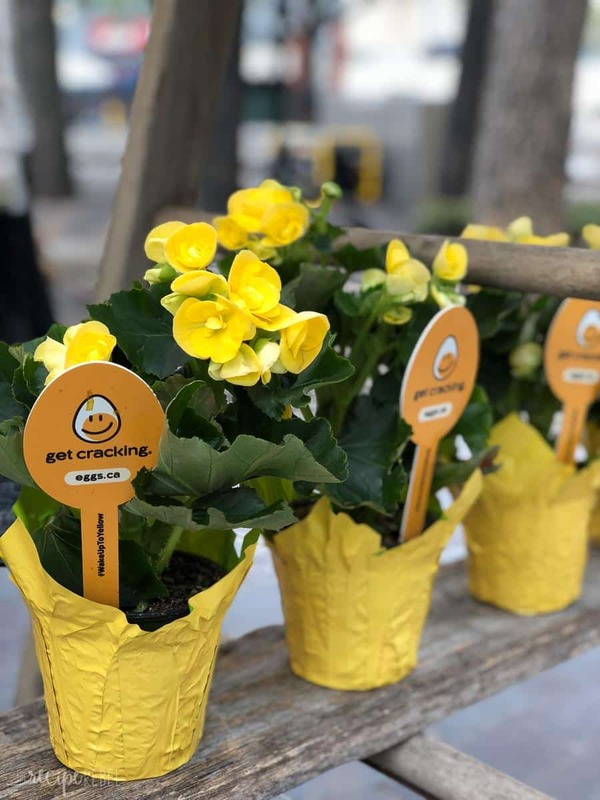 *This post is generously sponsored by the Egg Farmers of Canada — thank you for supporting the brands and industries that make The Recipe Rebel possible! 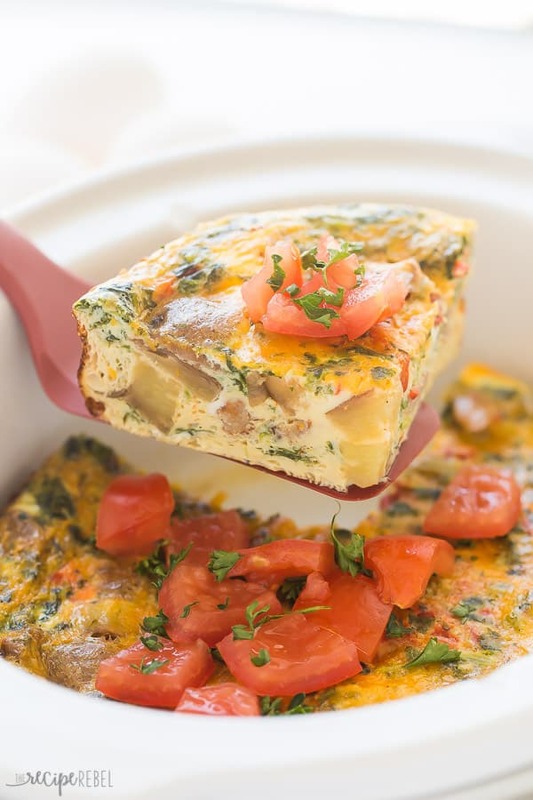 This easy Crockpot Breakfast Casserole is loaded with healthy ingredients and full of flavour! It's an easy way to pack protein into your morning, it's perfect for making ahead and is freezer friendly. Mix and match the meat and veggies to suit your tastes! Lightly grease a 2.5-3 quart slow cooker. In a large bowl or glass measuring cup, whisk together eggs, milk, spinach, salt, garlic powder, and paprika. 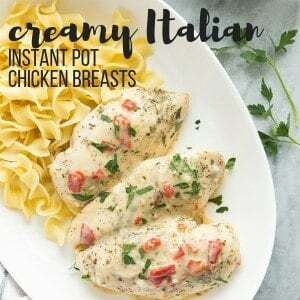 Pour into crockpot. Sprinkle the potatoes, sausages, and peppers over top -- they will sink to the bottom and that's okay! Sprinkle with cheese. Cook on high for 2 hours or low for 4 hours, just until eggs are set right through the center. Serve.